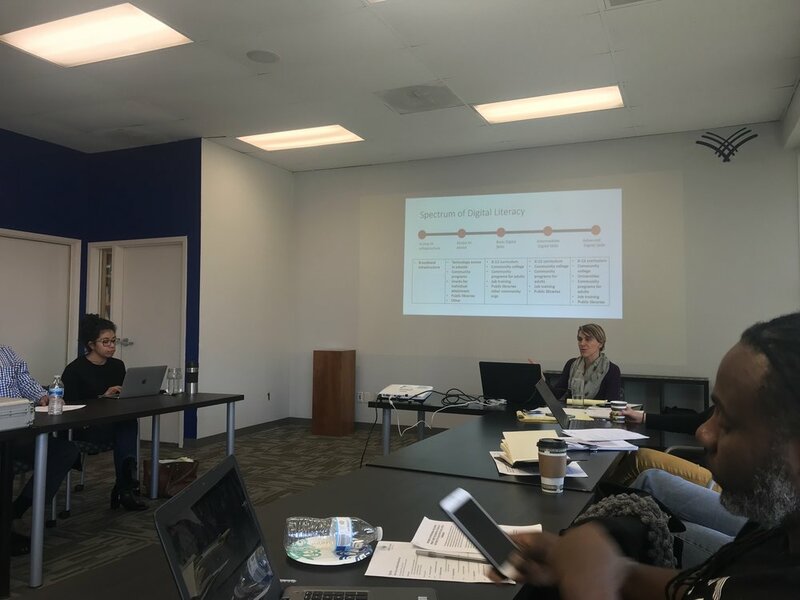 On December 19th, 12 regional organizations convened at Valley Vision to further our discussion on creating a comprehensive scalable digital literacy initiative. The focus of this initiative will be to support in “Cultivating a skilled workforce by readying our workforce for an increasingly digitized economy.” This is one of the five major areas resulting from the Brookings Institution research. We began our discussion by addressing the digital literacy landscape, which looked at best practice initiatives, coalitions, and projects that are occurring nationally as well as regionally. A key takeaway the group came to was looking at digital literacy and skills through a competency based lens, which would allow for a greater connectivity to applications in the workforce, civic, and social spheres of one’s life. We will be convening in January to iron out goals and metrics we seek to achieve as a group. Thank you again to Valley Vision for hosting and providing a plethora of initial research around the digital literacy challenge. If you are interested in digital literacy or are working in the space please reach out to cameron@svpsacramento.org to get involved.